For a very long period of time, Indian cars have been criticised around the world for their low quality and poor safety measures. 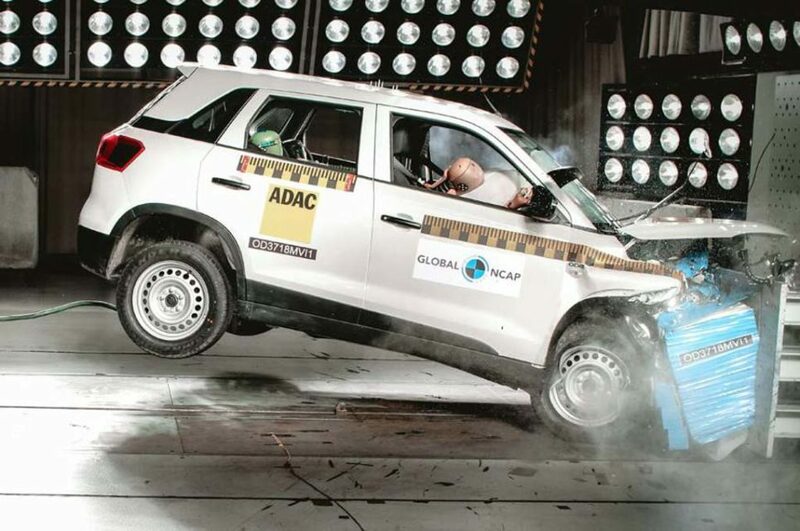 There is no minimal safety regulation in the Indian market and manufacturers often strip down the vehicles of safety features to bring the cost down. 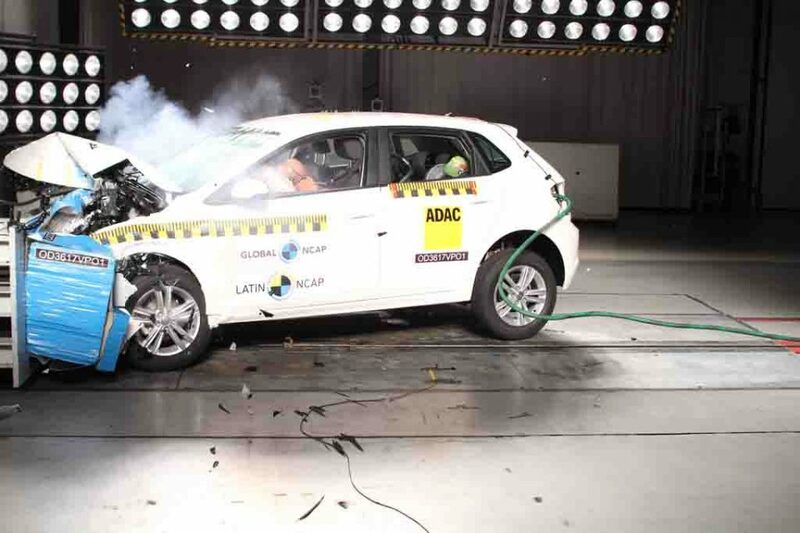 However, recently, Global NCAP, a safety agency conducted tests on various Indian cars and here is a list of the safest Indian-spec cars that are on sale in the Indian car market. Mahindra Marazzo became the first-ever MPV from India to win a 4-star safety rating from the agency. The MPV scored a maximum of 12.85 out of 17 in the adult safety and 22.22 out of 49 in the child occupants, which translates into two stars. The Marazzo’s shell has been rated as safe and it gets safety features like dual front airbags, ABS+EBD, driver side seatbelt reminder, front seatbelt pre-tensioner and ISOFIX hooks for the child seats. The Maruti Suzuki Vitara Brezza is India’s top-selling Utility Vehicle (UV) and averages around 10,000 units in monthly sales. The Vitara Brezza is the highest rated product from the brand. It scored a maximum of 12.51 out of 17 in adult crash test and 17.93 out of 49 in child crash testing. It scored 2 stars in the child safety rating as the dummy suffered injuries to the head and the shoulders during the test. All the variants of the Maruti Suzuki Vitara Brezza are equipped with dual front airbags, ABS with EBD, front seat belt with pre-tensioners and driver seat belt reminder. It also gets ISOFIX child seat mount as standard across the variants. 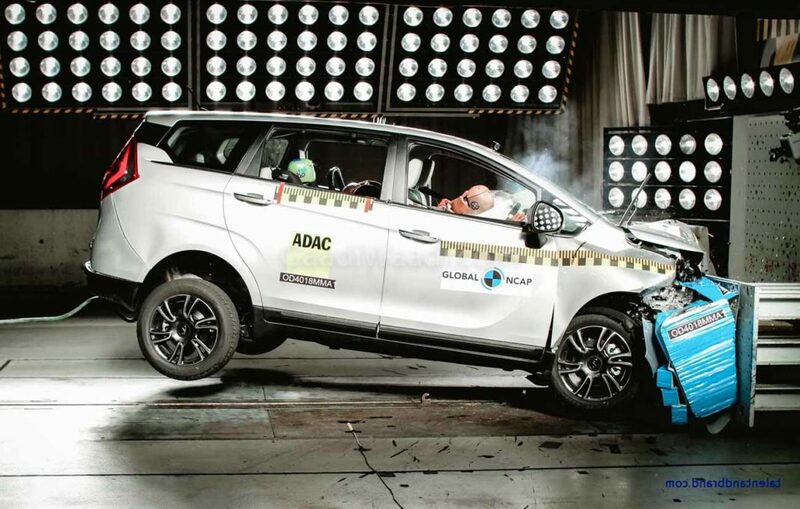 Tata has become the first-ever brand from India to get a 5-star safety rating by the Global NCAP agency. The Tata Nexon was awarded 4-stars earlier this year but the ratings were updated after Tata added new features in their car including a 4-channel ABS. Tata has scored a high of 16.06 out of 17 in the adult occupancy and the shell of the Nexon has been rated as stable. All the variants of the Tata Nexon are offered with dual front airbags and ABS as standard. The compact SUV scores 3 out of 5 in child safety. The Volkswagen Polo is a popular car in the Indian market. Even though it is solidly built and is one of the safest cars in the European market, the first test of the Volkswagen Polo earned it zero stars in India. Soon after that, Volkswagen made changes to its model line-up in India and started offering two airbags as standard across all the variants and cars. The vehicle was tested again and scored a healthy four-star rating. Toyota Etios Liva was tested way back in 2016 and it received a commendable 4-star rating in those days. The Toyota Etios Liva received 13 out of 16 points back then for adult safety and 20.02 out of 49 for the child safety. Toyota was one of the first manufacturers in India to offer dual airbags as standard across the variants. Toyota has updated the Etios Liva with additional features like ABS with EBD and ISOFIX child seat mounts but the car has not been updated yet.